The eighth day of the 2019 CaptiveOne U.S. Open Polo Championship® featured three close games with Cessna Polo Team claiming the last-minute 9-8 victory over SD Farms, while Equuleus defeated La Indiana 11-10 in overtime. The day ended with Las Monjitas claiming the 12-10 victory over Old Hickory Bourbon at the International Polo Club Palm Beach. The first game of the day was a closely fought game between Cessna Polo Team and SD Farms, with the foul ridden affair coming down to the penalty line in the final chukka. Felipe Marquez was active on both sides of the ball, leading the defensive effort, while leading all players with four goals. SD Farms overcame early foul trouble by controlling possession from the throw-in line and holding Cessna Polo Team to just 3 for 10 shooting from the field. Despite committing more fouls, SD Farms outscored Cessna Polo Team from the penalty line in the first half to hold a slim 5-4 lead. 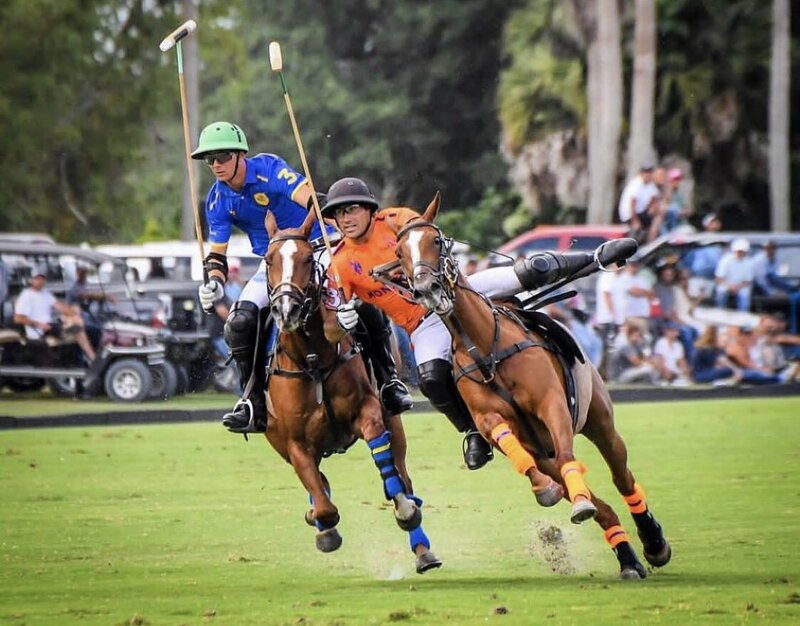 Marquez’s strong play brought Cessna Polo Team back into a tie, scoring the only goal in a tightly marked fourth chukka. 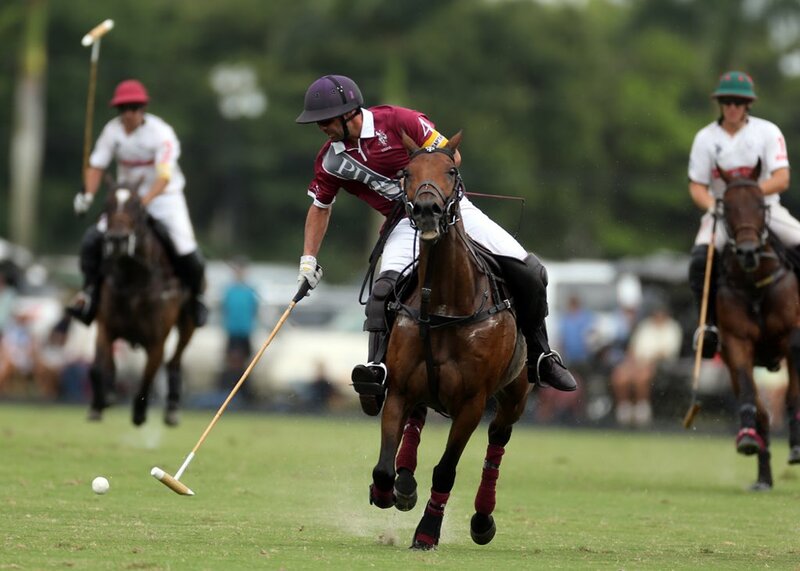 The score remained tied into the final 30 seconds, when foul trouble caught up to SD Farms, resulting in a Penalty 3 attempt for Felipe Viana, who converted his third penalty of the game, securing the victory for Cessna Polo Team. 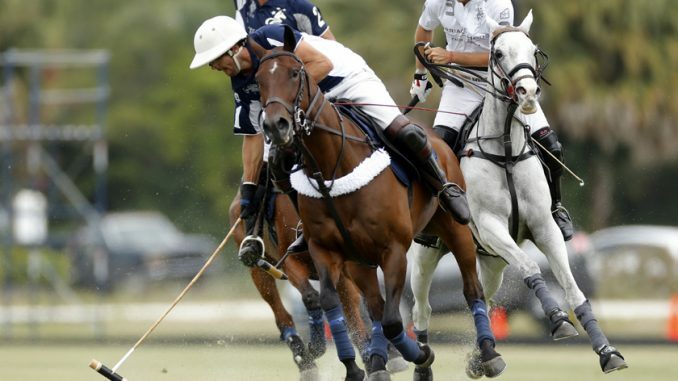 Overtime was needed in the second game of the day between Equuleus and La Indiana with a length overtime demonstrating the evenly matched contest. A balanced La Indiana attack saw all four players contribute with accurate passes and runs to goal. Michael Bickford was active downfield while the trio of Facundo Obregon, Jeff Hall and Tomas Garcia del Rio finished with two assists each. Holding the advantage in open play, La Indiana built an early lead with zero penalty attempts over the opening two chukkas. Bickford extended La Indiana’s lead to two, while Equuleus struggled to generate consistent offence from the field. The ball continued to move as part of La Indiana’s passing attack, leaving the Equuleus defence a step behind, increasing their deficit to three. Two penalty conversions for Mariano Gonzalez gave Equuleus the momentum they needed to mount a comeback. Making individual runs throughout the game, Magoo Laprida’s fourth goal of the game in the sixth chukka helped give Equuleus the lead. With time expiring, Hall jumped on a lose ball outside of 100 yards and hit an incredible shot from distance that trickled over the line to send the outcome to overtime. After La Indiana missed a Penalty 4 to win the game, Equuleus had a penalty attempt of their own, converting a Penalty 3 for the 11-10 victory. The final game of the day featured a strong Las Monjitas performance that held off a late charge from Old Hickory Bourbon to improve to 2-0 in the tournament. Hilario Ulloa and Francisco Elizalde worked effectively together throughout the game with Matt Coppola active defensively to begin their offense. Old Hickory Bourbon scored three unanswered goals in the second chukka to hold a 3-2 lead, but it was Las Monjitas that used a dominant 5-1 chukka to finish the half. 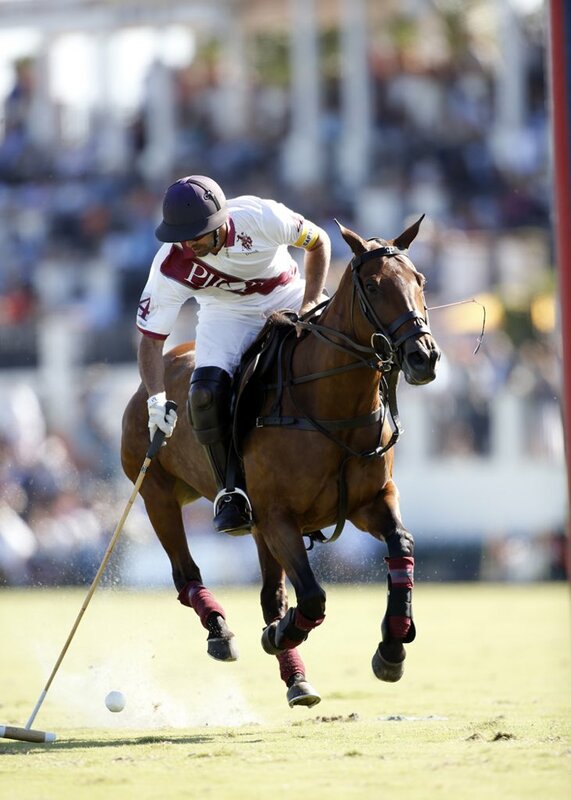 Ulloa and Elizalde added two goals each in the third chukka, along with Camilo Bautista who brought the score to 7-4. Las Monjitas extended the lead to four and controlled possession, but it was Miguel Novillo Astrada who helped bring Old Hickory Bourbon back within reach. 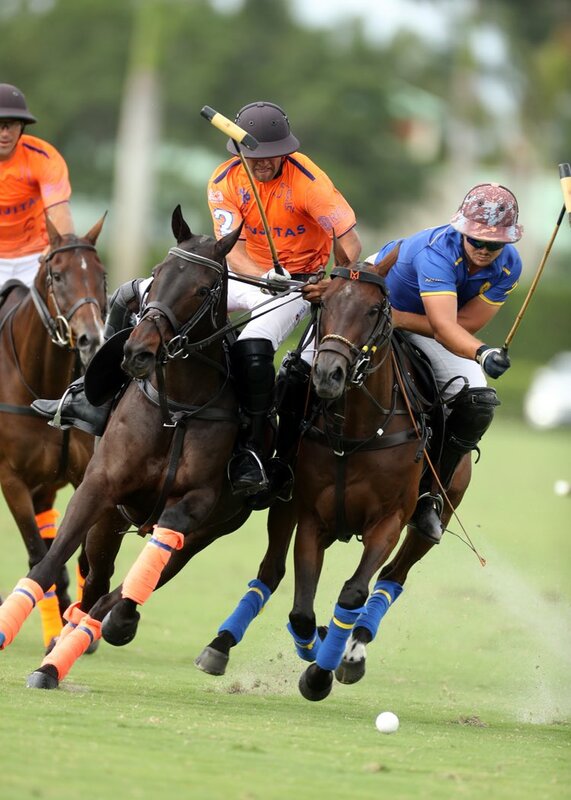 Scoring two goals while causing turnovers defensively, Astrada’s Old Hickory Bourbon reduced the deficit to just one goal entering the final chukka. Las Monjitas responded to their opponents run with a quick attack downfield that resulted in foul trouble for Old Hickory Bourbon and two Penalty 2 conversions to claim the 12-10 victory. 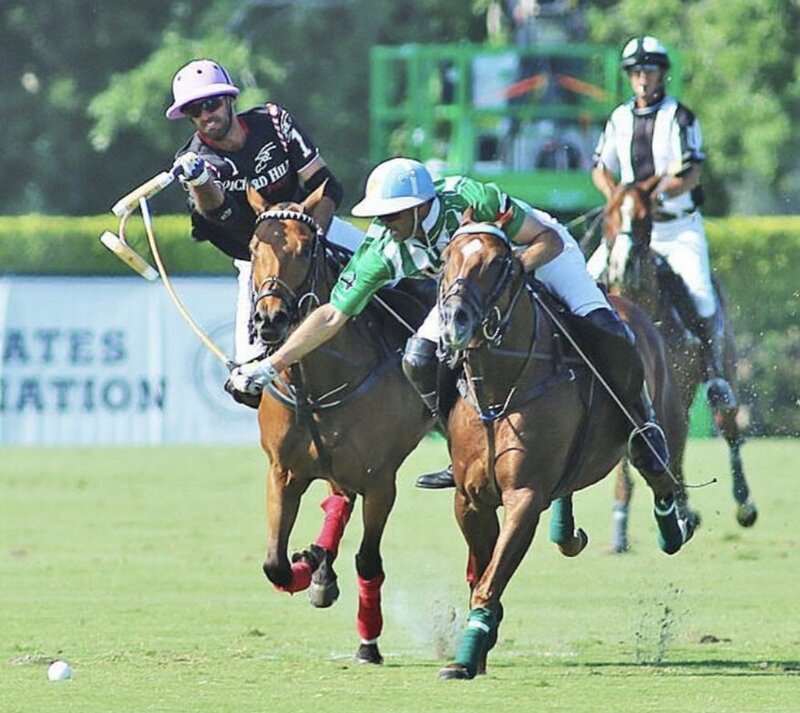 Francisco Elizalde going in on Lucas Diaz Alberdi in the @GAUNTLETOFPOLO US Open @intlpoloclub! #LasMonjitas claimed a 12-9 win over #ParkPlace to secure a spot in the tournament quarterfinals!